In order to explore the most recent developments in large molecule quantification in regulated bioanalysis by LC–MS, this Spotlight will highlight the advances and challenges faced during method development, validation and samples analysis. 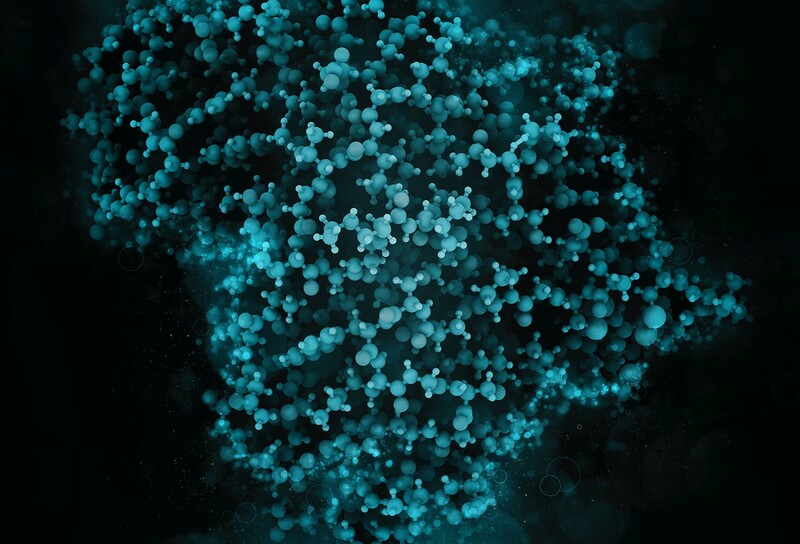 The increasing importance of large molecule therapeutics has been coupled with advancements in LC–MS technology, opening up new opportunities. Typically, large molecules are analyzed using ligand-binding assays but with advanced progress in MS technology the community has seen increased success in overall sensitivity and selectivity. However, what does this mean for future analysis and what challenges remain for the use of LC–MS for large molecules. Register today for our free panel discussion on large molecule quantification by LC–MS. Also view and register for our two mini-webinars on ‘New technologies and new methods for enhanced biomacromolecule separations’ and ‘A powerful hybrid IA-LC–MS method for the determination of insulin analogues in clinical samples’. In the coming months we will feature a variety of content on large molecule quantification by LC–MS, including: webinars, a panel discussion with key experts, exclusive commentaries, journal content from Bioanalysis and much more. Keep checking the page for updates for follow us on twitter @BioanalysisZone, searching #BZlargemol. Find out more this method to improve selectivity and sensitivity of protein quantitation by LC–HR–MS/MS in this free article from Bioanalysis. In this research article, the authors discuss a LC–MS/MS method that offers a viable alternative to immunoassays for the quantitation of endogenous glucagon, dosed glucagon and/or dosed GLP-1. In this article, the authors discuss an LC–MS/MS assay for the quantitation of liraglutide, a peptide-based injectable glucagon-like peptide-1 receptor agonist, as a convenient alternative to the enzyme-linked immunosorbent assay. In this perspective piece, a general discussion on the importance of these matrix effects is provided as well as how to properly address them in the method-development and validation stages of regulated bioanalysis. This White Paper is from the 2017 11th Workshop on Recent Issues in Bioanalysis (11th WRIB) that took place in Los Angeles/Universal City, California from 3 April 2017 to 7 April 2017. The conference included a full week of bioanalysis, biomarkers and immunogenicity. In this research article the authors describe the validation of an immunoaffinity (IA)-LC–MS/MS method to quantify a monoclonal antibody biotherapeutic in cynomolgus monkey serum. This commentary discusses the application of superchargers, in-particular m-NBA, and how they might affect peptide LC–MS/MS analyses for both large and small peptides. In this research article various large molecules were analyzed using High-resolution and triple quadrupole mass spectrometers, the data generated resulted in identical PK parameters from an in-life sample set, giving confidence in either technique in support of biotherapeutic PK exposure studies. In this Research Article two sensitive and selective LC–MS/MS-based quantification assays are developed to demonstrate a minimalistic sample preparation strategy for developing PK or biomarker quantification assays to support large-biomolecule drug-discovery efforts. In this expert interview, William Mylott discusses developing bioanalytical LC–MS/MS methods for biotherapeutics and biomarkers. This infographic presents key results from the large molecule quantification by LC–MS survey. In this interview, Nico and Chad (PRA Health Sciences; NC, USA) discuss the advantages, disadvantages and challenges they face with the technologies they utilize, before predicting what the future holds for the field. In this interview, Jun Qu (University at Buffalo; NY, USA) describes his current research focuses, including the technologies he is currently developing. Jun goes on to discuss the challenges involved in implementing sensitive quantifications of biotherapeutics using LC–MS and speculates on the future of the technology. Rob Wheller, Principal Scientist from LGC (Fordham, UK), discusses his current research focuses; the advantages, disadvantages and challenges of the technologies he utilizes; and advice he would give to young, early-career scientists. In this interview, John Kellie (GSK, PA, USA) discusses the technologies that he uses on a regular basis. He explains how large molecule bioanalysis influences downstream drug development and his future outlook on where the field will be in 5–10 years’ time. As part of our Spotlight, we present this interview with Cory Muraco (Merck KGaA, Darmstadt, Germany) who discusses his interest in chromatography, the technologies he uses and his top three tips for chromatographic method development. Watch time: 2:44 mins In November 2017 we interviewed Marco Michi, Scientific Officer - Technology Leader at Aptuit (Verona, Italy), about his research into LC–MS for ADA analysis. Take our short survey on large molecule quantification by LC–MS. View time: 2:29 mins In this interview, Anne Kleinnijenhuis (Triskelion; Zeist, The Netherlands) describes his current research focus, key challenges he faces when utilizing LC–MS and what he believes the future holds for the technology. In this interview, we talk to Omnia Ismaiel on her latest article, 'Do we have mature LC–MS/MS methodology for therapeutic monoclonal antibody bioanalysis?'. In this commentary, Faye Vazvaei (Roche) discusses the findings from our recent survey from our spotlight focus on large molecule analysis using LC-MS. 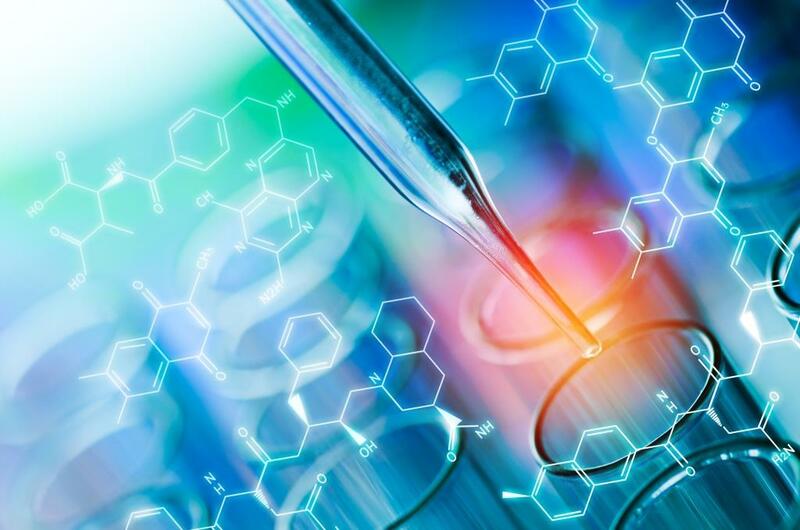 In this article Erin Chambers (Waters Corporation) provides analytical considerations for large molecule LC-MS assays, based on the culmination of Waters experiences as well as those of the broader research industry. The considerations are segmented into liquid chromatography (LC), mass spectrometry (MS), and sample preparation. Cameron Low interviews Denise Wallworth, Tactical Marketing Manager, Sigma-Aldrich, on what she believes the main challenges are when developing chiral methods, whether the use of alternate techniques to U/HPLC will increase and more. Available to view on demand. In this free panel discussion, our experts will provide insights into their own research with large molecules including the challenges they have had to overcome, key trends they have seen and their future outlook of the development of this field. Available to view on demand. Learn about new UHPLC column technologies and how to exploit them for improved characterization of biomacromolecules. View webinar on demand How we can use the Xevo Mass Spectrometer, combined with immunoaffinity extraction to provide a premium sensitivity assay for our clients and help them drive forward the development of insulin molecules and their biosimilars? Available to view on demand During this panel discussion we discussed what clinical stage peoples’ assays are used in, reflecting on what this indicates for the use of the technique in drug development. We also discussed sample preparation techniques used, covering proteolytic digestion and immunocapture techniques, with our panelists providing advice on best practices. This webinar will cover practical considerations when developing hybrid LBA-LC/MS assays for the quantitative bioanalysis of therapeutic peptides and proteins. Although recent technological advances enable fast chiral separations, an understanding of chiral method development, the bonding chemistry and various screening alternatives is the most effective approach for achieving a desired LC-MS separation. View our interview with Roland Staack (Roche) at the 8th EBF Open Meeting. IntroductionAcetaminophen is one of most widely used pain relievers and widely available as generic OTC Certified Snap-n-ShootTM pharmaceutical impurity reference standards provide a quick and easy solution for pharmaceutical manufacturing end A set of multi and single component Acetaminophen Impurity Mix calibration solutions was developed. Monoclonal antibody (mAb) based biotherapeutics have emerged as a dominant class of approved medicines during the past decade in both market share and variety of target diseases. 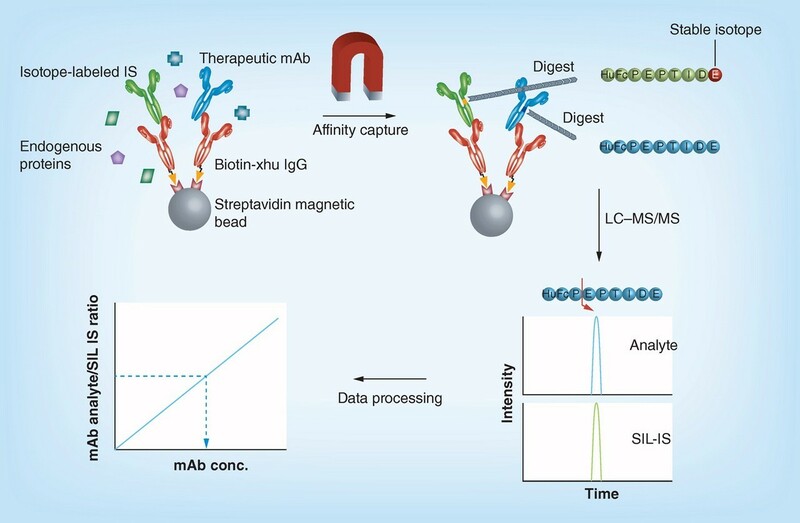 Ligand binding assays (LBAs), such as enzyme-linked immunosorbent assays (ELISA), have been the gold standard for the bioanalysis of mAbs in support of non-clinical and clinical trials. While conventional LBAs provide highly sensitive and specific detection for the quantitation of mAbs, combining an LBA with liquid chromatography tandem mass spectrometry (LC-MS/MS) detection offers additional orthogonal dimensions of selectivity/specificity, extending the assay utility to a multiplexed format otherwise not achievable by LBA alone. To date, almost all protein LC-MS/MS based bioanalysis has involved the use of trypsin to cleave biopharmaceuticals into manageable peptides for quantitation. In some cases, where trypsin does not generate useful peptide sequences, a different cleavage agent is required. Glu-C is an enzyme that is frequently used for protein characterisation, and cuts proteins on the C-terminal side of the aspartic and glutamic acid residues. These two molecules are acidic amino acids, whereas the ubiquitous trypsin cleaves at the basic residues (lysine and arginine), therefore making this an orthogonal cleavage enzyme. In this application note, Yun Alelyunas (Waters Corporation) describes an LC-HRMS method for high sensitivity bioanalysis of monoclonal antibodies by direct mass measurement at the intact level for whole molecule quantification. This emerging approach can serve as an alternative or complement to traditional methods such as ligand binding assay for protein quantification. Methodology and guidance for evaluating and optimizing data processing parameters are discussed in detail. Encenicline (EVP-6124), shown in Figure 1, is a potent orthosteric agonist of the α7 nicotinic acetylcholine receptor (α7 nAChR). This compound is being developed with the potential clinical indication to treat cognitive impairment in patients with schizophrenia or Alzheimer’s disease (AD).The primary circulating non-conjugated metabolites of encenicline are encenicline N-oxide, formed by oxidation of the quinuclidine nitrogen atom, and encenicline acid metabolite, a product formed through hydrolysis of an amide bond. Metabolite profiling has also indicated the presence of an N-glucuronide as well as other metabolites.